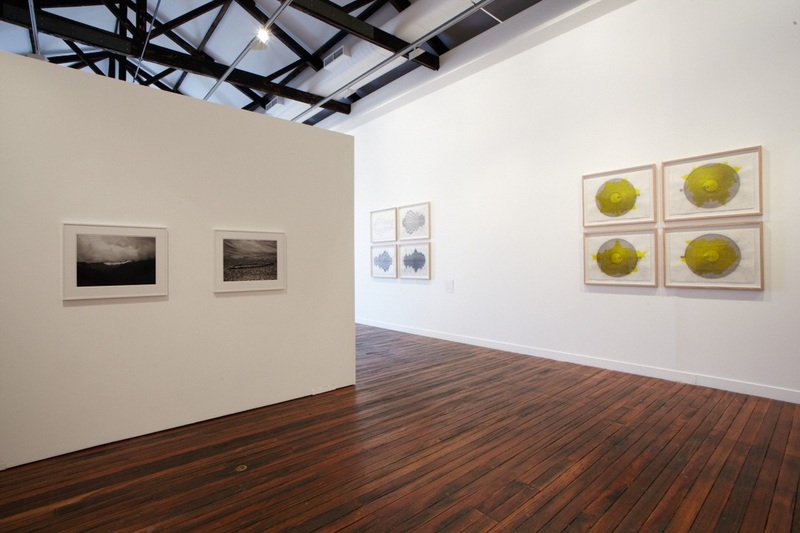 Installation view National Art School Gallery, 2014. Photography by Mim Stirling. Image courtesy National Art School Gallery. 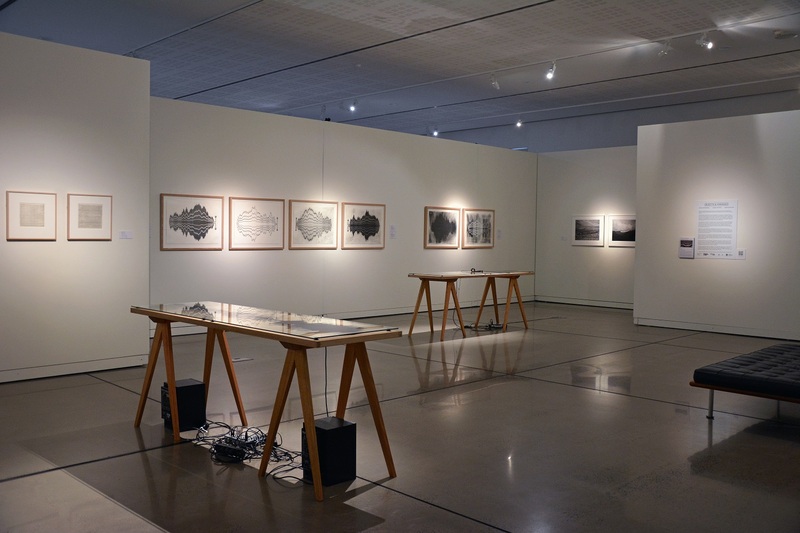 Installation view Western Plains Cultural Centre, 2015. Image courtesy Western Plains Cultural Centre. Objects & Energies brings together three artists from different generational and cultural backgrounds who have approached non-objectivity and abstraction not as a kind of formalism, but as a means of structuring physical, temporal, scientific and transcendental ideas. A central theme of the exhibition is the way artists approach representing the visible and the invisible. Featuring Joyce Hinterding, Linda Matalon and Agnes Martin, the exhibition focuses primarily on drawing; a medium that is central to each of the artists. Their extraordinary works display similarities but also exhibit quite divergent approaches. What they do share is an engagement in the repetition of certain forms, the process of marking time and delineating space and ideas on the infinite through recurring visual codes. Australian-based Joyce Hinterding explores physical and virtual dynamics in her practice, often mapping acoustic phenomena and electromagnetic fields through a variety of expressive forms. 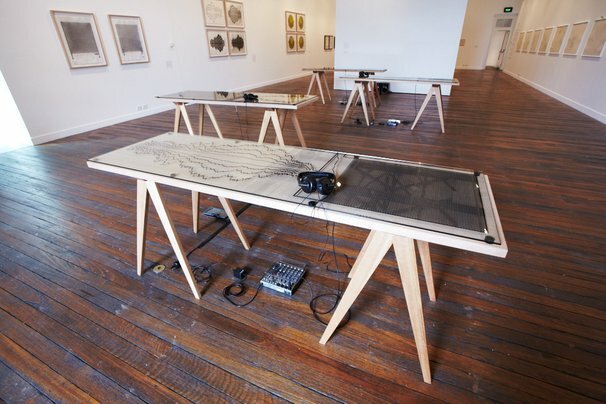 The exhibition featured both drawings and interactive sound works that examine patterns of energy. US-based Linda Matalon’s two-dimensional drawings, while subtle at first glance, are worked with a rigorous hand: drawing with wax, scraping, graphite, mark-making and rubbing are all integral to the work, as is physicality and time. With a sculptural approach to building up or breaking down surfaces, distress and erasure is clearly at work, but in the precarious balance between mark and surface, a delicacy prevails: a balanced territory where space and time flatten and expand. Objects & Energies also includes drawings and prints by the highly influential American artist Agnes Martin (1912-2004), renowned for her luminous abstractions often based on landscapes that employ repetitive geometric lines and subtle colour to produce softly delineated grids. 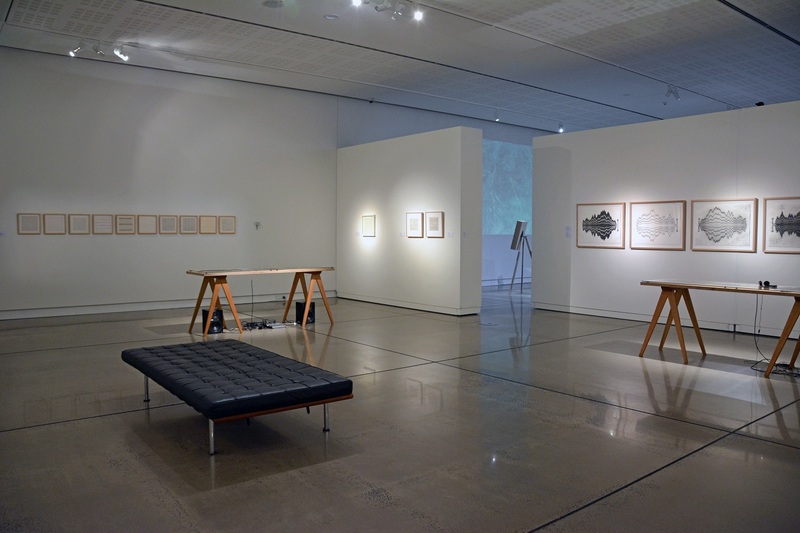 A National Art School Gallery exhibition toured by Museums & Galleries of NSW. This project was assisted by an Artist or Curator Residency grant, supported by the Copyright Agency Limited’s Cultural Fund and managed by Museums & Galleries of NSW.